We produce interactive eBook Dive Travel Guides for Popular Scuba Destinations that are designed to provide comprehensive information about Dive Sites, Land Tours and Activities, Marine Life and Travel Basics. When you download these guidebooks, you can add your own content and notes so they can be used as dive logs. All of the features of the books can be accessed without Internet connection. These eBooks can also be used to market Scuba Destinations, Liveaboard Dive Yachts and Dive Resorts. 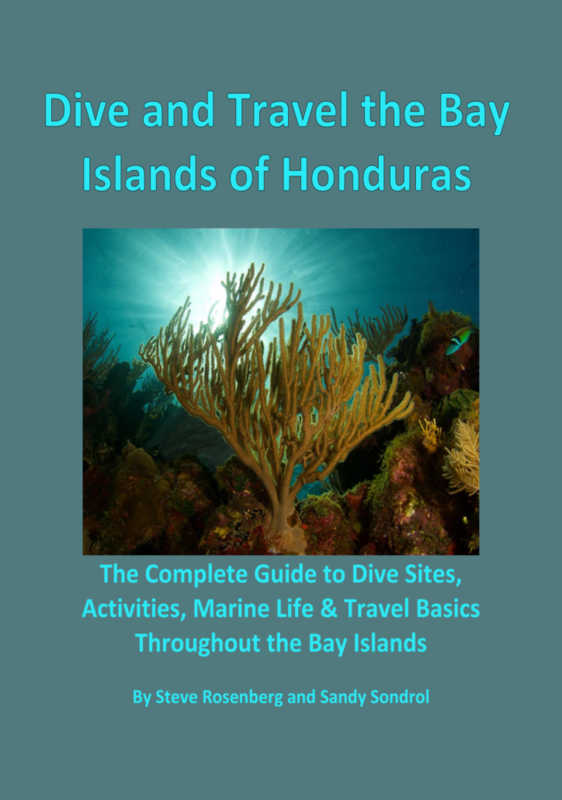 “Dive and Travel the Bay Islands of Honduras” is the latest in a series of informative dive guides produced through Rosenberg EBooks. This guide was written by Steve Rosenberg and Sandy Sondrol. It provides detailed descriptions of 76 of the best dive sites in and around Roatan, Utila, and Guanaja. The guide also contains practical information on travel basics and information on some of the fascinating marine life that visitors will encounter in the Bay Islands. This electronic interactive guide has many useful features and can be used as a travel log or dive log, allowing you to add your own comments and notes. This comprehensive Bay Islands dive guide is a great travel companion and information resource for anyone who is planning a dive trip or dive holiday to the Bay Islands and for those who have already visited this unique destination. The Bay Islands offers some of the best diving to be found in the Caribbean. Dive and Travel the Bay Islands of Honduras was released in November, 2018. This eBook can be downloaded from iTunes, Google Play or Amazon. 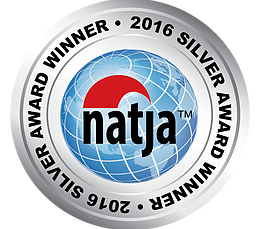 Dive and Travel Galapagos wins Gold medal as the best travel guide in 2017! For the second consecutive year, an eBook Dive Travel Guide produced by Rosenberg EBooks has received a prestigious award. 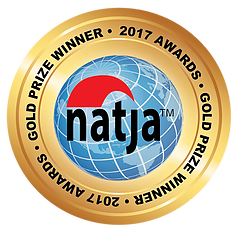 Dive and Travel Galapagos received a Gold Medal in the Travel Book or Guide category in the 26th Annual North American Travel Journalists Association (NATJA) International Awards Competition as the top guide book in 2017. The competition received over a thousand entries. 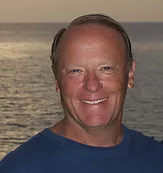 “Dive and Travel Galápagos” is the latest in a series of informative dive guides by Steve Rosenberg. It provides detailed descriptions of 47 of the best dive sites and dozens of land tours throughout the archipelago. The guide also contains practical information on travel basics and some of the fascinating wildlife that visitors will encounter in the Galápagos. This electronic interactive guide has many useful features and can be used as a travel log or dive log, allowing you to add your own comments and notes. This comprehensive Galapagos dive guide is a great travel companion and information resource for anyone who is planning a dive trip or dive holiday to the Galápagos Islands and for those who have already visited this unique destination. The Galapagos offers some of the best diving in the world. 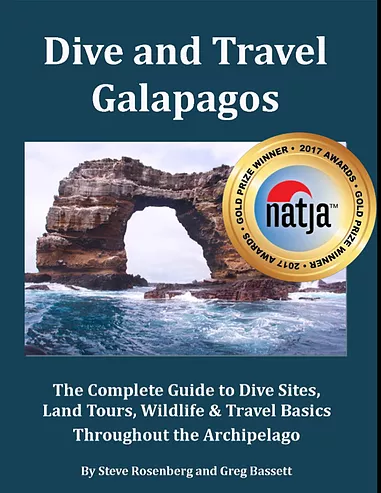 Dive and Travel Galápagos was released September, 2017. “Steve Rosenberg is a highly accomplished writer and photographer, both topside and underwater. As his friend for many years, I happen to know that he has won numerous awards for his works, and that he is highly respected by his peers. That said, writing a comprehensive guide to the Galapagos presents quite a challenge. There is an enormous amount of expertise required to properly cover the dive sites, land tours, wildlife, and travel tips that will help others get the most out of a visit to that incredible and varied archipelago. Steve has done a superb job in accomplishing this task, and he is to be congratulated for creating such a thorough guide in a style that is perfect for diving tourists. Marty Snyderman. 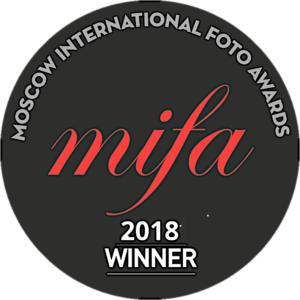 Marty is a professional photographer, Emmy winning cinematographer and cameraman/film producer for numerous award winning documentaries by National Geographic, the BBC, Discovery Channel and PBS Nature Series. 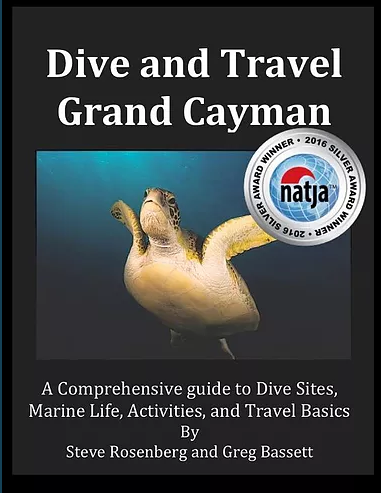 Dive and Travel Grand Cayman is now available from iBooks (iTunes), Kindle and Google Play. It is the definitive guide to diving and visiting Grand Cayman. This interactive eBook includes detailed information on more than 75 dive sites, marine life, above-water activities, travel, accommodations, shopping, touring and sight seeing, island history and much more. As with all of Steve’s books, it includes stunning photography and now video content, when supported by the end device. Dive and Travel Grand Cayman is the perfect companion for anyone traveling to Grand Cayman or contemplating a trip in the future. Anyone who wants a Cayman Dive Guide or who has an interest in Diving Cayman should get this guide. The book can also be used as a dive log and has useful social media components, as well as a digital table of contents and term search features. Release date was on November 1, 2015. Download your copy of the new eBook “Dive and Travel Grand Cayman” today! This is the latest dive and travel guide from well known travel writer, diver and underwater photographer, Steve Rosenberg. This time he has teamed up with Greg Basset an underwater videographer. This guide is very comprehensive. My family and I are passionate divers and have been vacationing every year in the Caymans for as long as I can remember, and we thought we knew the islands. I was amazed at what Steve and Greg cover and the little tidbits of information they have unearthed. This is more than a dive guide. If you are considering a beach holiday in the Caymans or even intending to work there, this is the guide for you. The e-book format works well, and Greg’s embedded underwater video compliments Steve’s award winning underwater stills photography. We thought we knew most of the dive sites and dive operators, but Steve and Greg have discovered some real gems, new and old. We will be referring to this guide on our next vacation in the Caymans. Well done Steve and Greg on this last reference resource. We look forward to your next offering. This is a beautiful, comprehensive book — a must read for anyone planning a trip to Grand Cayman. Stunning photos, amazing videos! Where else can you see coral spawning in a book? I learned a lot about the island even though I’ve been there several times! I downloaded this eBook for a week-long trip to Grand Cayman. I couldn’t believe how extensive the information was. The details and tips helped me select dive sites, above water activities, and restaurants while on the island. I also took the book with me on the dive boat and the guides amazed at the beautiful images and accuracy of the dive site descriptions. Awesome resource for anyone planning a trip to Grand Cayman! I am a diver, but the book is completely a whole guide to visiting Grand Cayman. There are so many great details about how to travel in Grand Cayman, that even as a seasoned visitor, I found the book incredibly helpful, as there are areas of the island that I would otherwise never chosen to experience, had I not had Steve and Greg offer their experiences for other areas of the island. As a visitor, there is useful above water information, and as a diver, there is exceptional information. Clearly, Steve and Greg, love the underwater world and convey that through the exquisite photography and their interesting commentary on the underwater experiences they encounter. It truly has been a pleasure to read, and I would recommend it to any traveler, interested in above or below the surface!!! Fabulously well done!!! This book is now a free download on iTunes, Google Play, and Amazon. The Naturalist’s Guide can also be downloaded directly from us by clicking here. 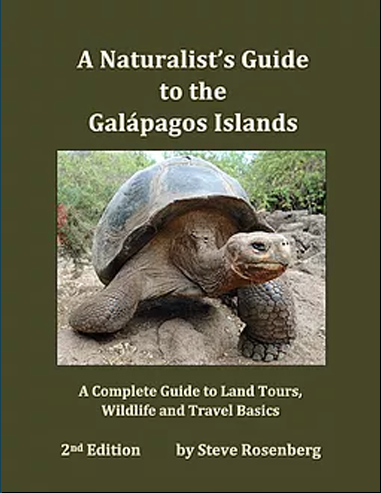 “A Naturalist’s Guide to the Galápagos Islands, the 2nd Edition” is an informative eBook by Steve Rosenberg with detailed descriptions of the most popular land visitation sites in Galápagos as well as lots of practical advice for planning a trip to the Galápagos. This is a must have for anyone who is planning to travel to the Galápagos and for those who already have. The Second Edition was published September 2014. Steve Rosenberg has teamed up with Greg Bassett, owner of Coral Consulting GmbH, to create the the ultimate resource for information on Galápagos Naturalist Tours. 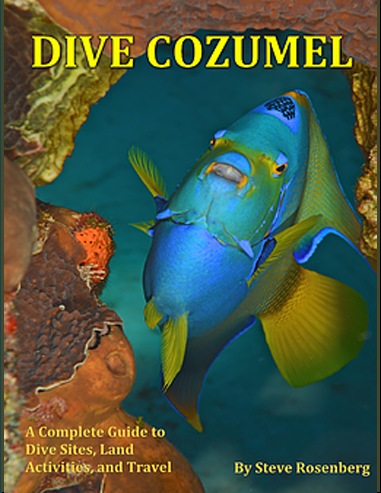 Dive Cozumel was the first eBook in the series of Dive Travel Guides. It features extensive information on both diving and land activities as well as practical travel recommendations and tips. It also includes a complete section on the marine life found in the waters near Cozumel. It includes beautiful photography above and below the water.